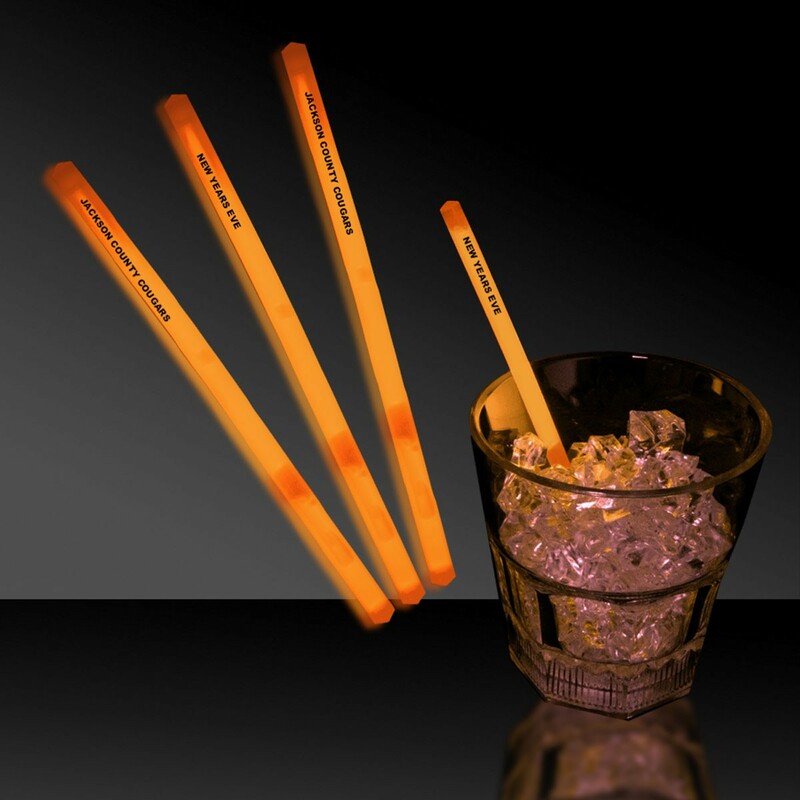 Add something special to signature drinks and cocktails with our Orange 5" Glow Swizzle Sticks. Perfect for illuminating cocktails at evening promotional events with any colors scheme. Glow products by nature are a one time use only and are colorless before activation. To activate, simply crack and shake. Each single color comes in a tube of 50. * With our Same Day Ship Program we can imprint and ship SAME DAY under the following restrictions: Artwork (proof) and payment terms must be approved by 10:00 am (Central Time). Glow Bracelets and Glow Necklaces can be shipped same day if decorated utilizing the Hot Stamp option only. Pad Printing cannot be shipped same day. Same day shipping on the Lumiton product line pertains to the 4" x 5" label only. Limitations on quantities and/or rush fees might apply, please inquire. Prices include 1 location Hot Stamp (Straight Line Copy, Arial Font, 12 pt. (1/8'') Upper Case Only, 26 Characters Max). Hotstamp add a Set-up Fee $30 (v). 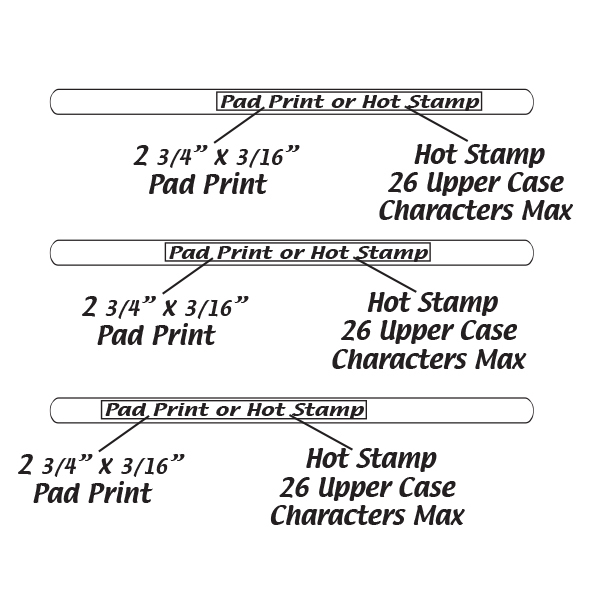 Pad Print Set-up add $55 (v), plus an additional $.18 (v) running charge. Imprint minimum is 200 pcs. Prod. time: 5-10 business days after artwork is received and approved. Most of the prices on our items reflect your cost per piece. Some items are packed and sold in incremental quantities such as dozen, gross, pack, units etc. Unless otherwise indicated in the item description, your cost will be the per piece price x the increment indicated. Please order in those increments when indicated. Please Note: Glow items by nature are a 1 time use only.